Jeff Goldblum | Dr. Saint, D.D.S. Wes Anderson is one of the most original filmmakers working today. His deadpan sense of humor juxtaposing his unique visual style, his films are one-of-a-kind. After Bottle Rocket bombed in 1996, he continues to create some of the best movies ever made. Rushmore and The Royal Tenenbaums are the ones that made him gain attention in Hollywood. While The Life Aquatic and The Darjeeling Limited are very good yet uneven, I think the coming-of-age romance Moonrise Kingdom and the screwball comedy The Grand Budapest Hotel both showcase his talents behind the camera. However, 2009’s Fantastic Mr. Fox is his most ambitious film of his entire career. Not only did he adapt and expand Roald Dahl’s book (in which he loved as a kid), it brings forth stop-motion animation like no other. Isle of Dogs, his ninth film, is his first–and probably, not his last–animated film aimed towards teens and adults (given it’s rated PG-13). Set 20 years into the future, cats have become the most dominant pet in the Japanese city of Megasaki. Interpreter Nelson (Frances McDormand) translates the meetings of Mayor Kobayashi (Kunichi Nomura), who has banned dogs to a garbage dump called Trash Island due to a canine flu virus. His 12-year-old nephew Atari (Koyu Rankin) steals a plane to find his dog Spots (Liev Schreiber), the first dog ever to be exiled to the island. Once his plane crashes, he is rescued by five dogs–Chief (Bryan Cranston), Rex (Edward Norton), King (Bob Balaban), Duke (Jeff Goldblum), and Boss (Bill Murray). Together, they embark on a journey to find the missing dog. Meanwhile, Professor Watanabe (Akira Ito) tries to produce a cure for the virus, and foreign exchange student Tracy Walker (Greta Gerwig) becomes the leader of the dog-ban protests. All the hijinks will decide the fate of Japan. For someone who has enjoyed all of Wes Anderson’s films, this movie still proves why Anderson is a genius! It’s another movie that has come out at a perfect time. It’s unusual for a Wes Anderson film to contain a political background including protests against a powerful mayor. It also contains a heartfelt message about the means of a man’s best friend. Top it off with flawless animation (developed by hundreds of animators), a massive voice cast, cartoonish yet occasionally gritty action violence and the fast-paced, witty dialogue, this is Anderson at his most beautiful! It’s hard not to give Alexandre Desplat a break! He brings forth another great film score! Those taiko drums–which play during the opening and closing credits–sound spectacular! This movie couldn’t have picked a better voice cast. Bryan Cranston is PERFECT as Chief, a stray and leader of the pack. He fears Atari will do something bad to him and his dog friends. Things do get rough (no pun intended) on the island whenever the dogs fight (which hilariously produces a cloud of smoke). But–he eventually gives in and learns how to be a normal, everyday pet. While the other actors playing the dogs are wonderfully deadpan, especially the circus dog Nutmeg (Scarlett Johansson), Cranston’s timing hits it home. Isle of Dogs is far from perfect. There are some narrative flaws and the use of the narrator–when introducing the proceeding chapter (while the words appear in English and Japanese)–becomes a little redundant. Nevertheless, this movie is a painting in motion and something I’ll revisit time and time again. 20 years ago, Fourth of July was more than just a celebration of America declaring independence from the British. It became a day where we saved the world from annihilation. Well, that was the case for Roland Emmerich’s Independence Day, the mother of popcorn entertainment. Everyone knew the aliens would come back someday. Emmerich had plans to make the sequel ever since the attacks on 9/11, but it took so long to find out where the story will go. Independence Day: Resurgence isn’t horrible. It has plenty of wondrous effects and wall-to-wall action that are always a joy to watch. Jeff Goldblum’s deadpan antics of David Levinson are back, as well as some of the recurring characters from its predecessor. However, Resurgence is bogged down by new characters who are either tedious or a nuisance, plot holes that you can ride a space shuttle through, and the aliens have barely changed. Defending Earth once was enough. I appreciate Johnny Depp as an actor. From playing an innocent man who has scissors for hands to a pirate going on countless adventures, his quirky nature is always quite entertaining. However, he overplays these type of roles to the extent. 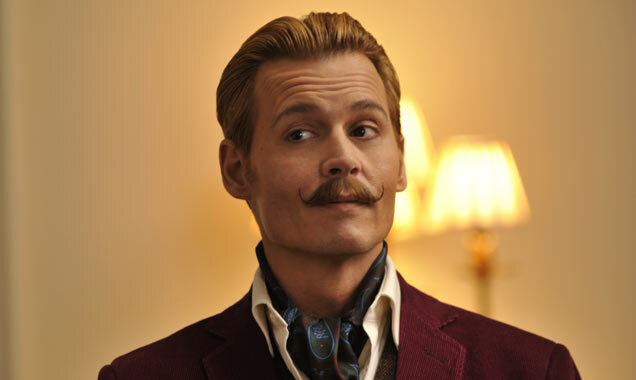 Mortdecai, the latest collaboration of Depp and director David Koepp (Secret Window), is no exception. Depp plays Charlie Mortdecai, an aristocratic art dealer who embarks on a globetrotting mission to find a missing Goya painting. There are rumors of a code to a Nazi bank account. His man servant, Jock Strapp (Paul Bettany), comes along with him to get their hands on it before anyone else can (sound familiar?). I cannot imagine another performance by Johnny Depp to be worse than Tonto in The Lone Ranger. Unfortunately, his performance as the title role tops it. You can tell how he’s really trying to get a laugh from the audience. The comedic timing feels off that it’s hard to get one. His jokes – notably about his mustache and having a gag reflex every time he kisses his wife Johanna (Gwyneth Paltrow) – fall flat and become repetitive. With a lazy screenplay, some boring action, and a massive waste of talent by a gifted cast consisting of Paltrow, Betanny, Ewan McGregor, Olivia Munn, and Jeff Goldblum, Mortdecai is a ginormous mess of a film. Even so, how can Jock stay alive from being severely injured many times? Easily a contender for one of the worst movies of the year and the decade.